The House of Scrum is a warm house. It’s a house where people are WELCOME. In the House of Scrum people from different backgrounds, in different roles, with different skills and talents work, learn and improve together, as a group, with no finger-pointing at each other or disrespectful work. The House of Scrum is an inclusive house of warm, open and collaborative relationships, not a house that excludes people. The House of Scrum knows no versus. No business vs. IT, no team vs. organization, no Product Owner vs. Development Team, no development vs. support, or testers vs. developers (of code), our Team vs. your team, or Scrum Master vs. stakeholders. The House of Scrum is a great and energizing place where product development prospers from the combined, creative intelligence of people. A similar house, just different materials, is the Lean house. I created this (graphical) analogy when I was gathering, bundling, reviewing, editing and adapting some previously published blog notes to create some white paper-ish… papers. The first one covers this analogy: “The Blending Philosophies of Lean and Agile” (I will soon make it available via slideshare). This is just partly about the result. I’m also going through it to check and improve my writing skills. Of course quite curious where it might lead me. 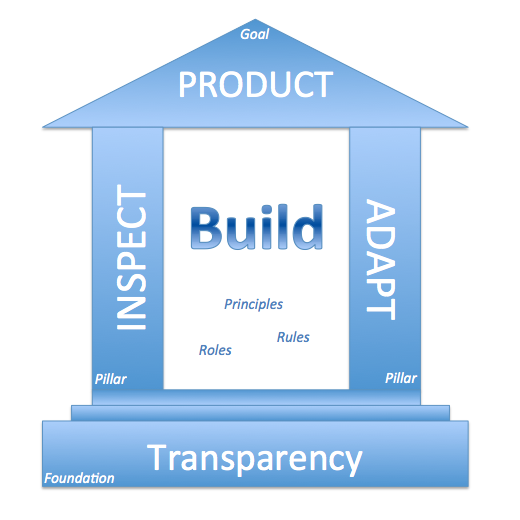 The Scrum Perspective to Agile describes the main game playing rules of Scrum to demonstrate how Scrum implements the Agile principles and how Scrum is quite… Lean. “The customer-oriented enterprise”, an answer to the major Scrum challenges from the perspective of the total organization. Gunther, I’m missing Values of Scrum in this Scrum house edition. Why are they not present along with the rules and principles? True, Illya, they are not explicitly on there. Yet, I think that ‘rules & principles’ cover them, at least implicitly. This is a very good analogy, and it’s an excellent way to explain the main principles behind Scrum. 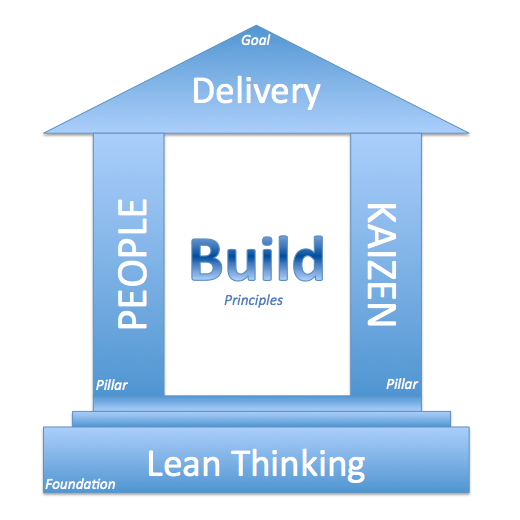 Maybe the “house of scrum” can be used in Seminars about Scrum to explain it for beginners?